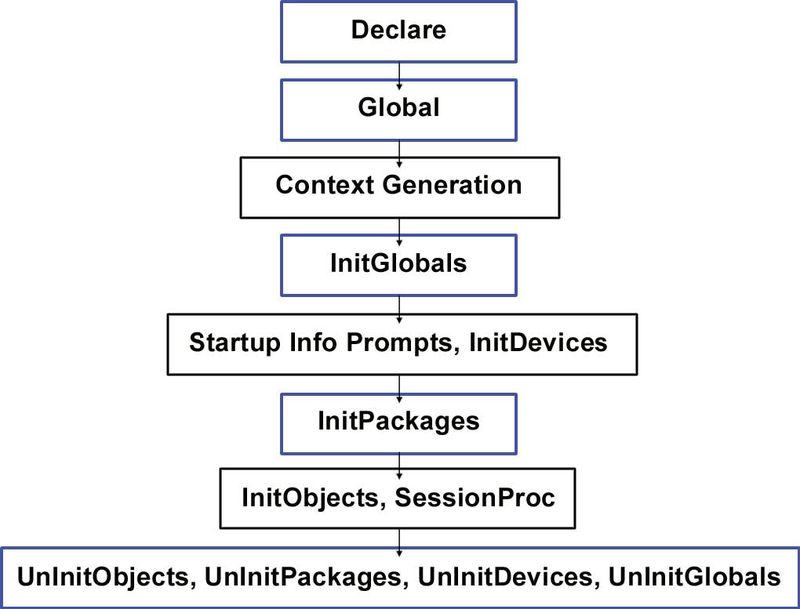 The following is a diagram of how the various components of a package file fit within the overall script generated by an E-Prime experiment. Each component fits into a specific location, and the functions that can be performed will vary based on where the component is located. For example, creating a custom data file name must occur in the InitPackages component, because this component is placed after the default data file name is generated (thus preventing the custom data file name you create from being overwritten), but before the data file is opened.